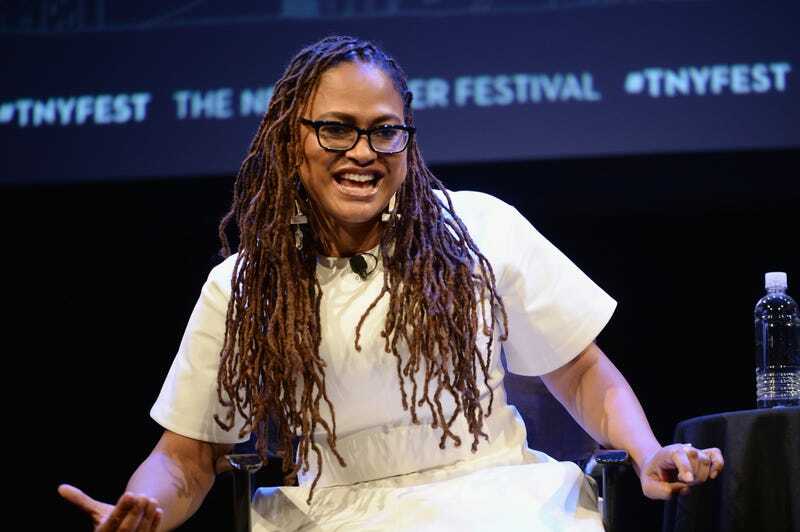 Ava DuVernay is black, y’all. The director and producer extraordinaire and all-around example of #BlackGirlMagic took a dive into her family history on Finding Your Roots with the show’s host, Henry Louis Gates Jr. In the dive into the past, DuVernay discovered that among her ancestors were white French slave owners who fled the revolt during the Haitian Revolution. In addition, her stepfather’s third great-grandfather, who was an inspiration for DuVernay’s breakout film, Selma, was a former slave who registered to vote in the same region where the movie took place, People magazine notes. However, it was confirmation of her racial background that gave DuVernay a lot of joy and cause for celebration. In a preview shown of the show, Gates asked DuVernay to guess her racial background, and the despondent director voiced her fear that she would be more than 50 percent European, despite what she has believed her entire life. When Gates asked her to see what research had revealed, DuVernay gasped and threw up her hands in the air, giving a gleeful laugh. “I’m black! I am black!” she rejoiced. “Welcome back,” Gates quipped as they both laughed. DuVernay is 57.3 percent African and 41.5 percent European. “This makes me so happy,” DuVernay told a laughing Gates. DuVernay herself shared the clip on her Instagram, thanking Gates for his help.